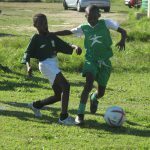 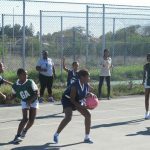 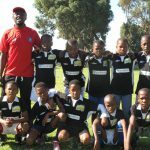 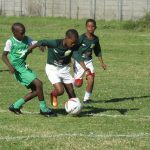 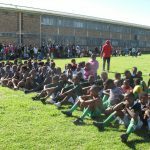 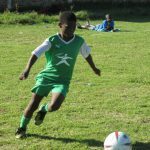 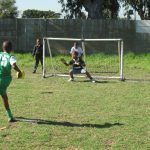 Our Foundation hosted the inaugural sports “Derby Day” between two of our Sporting Chance Development Foundation schools this past Friday 20th May 2016. 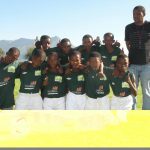 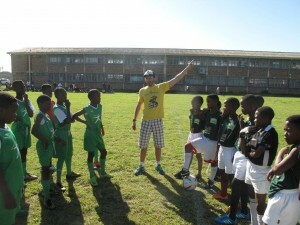 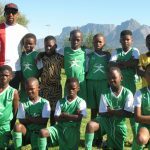 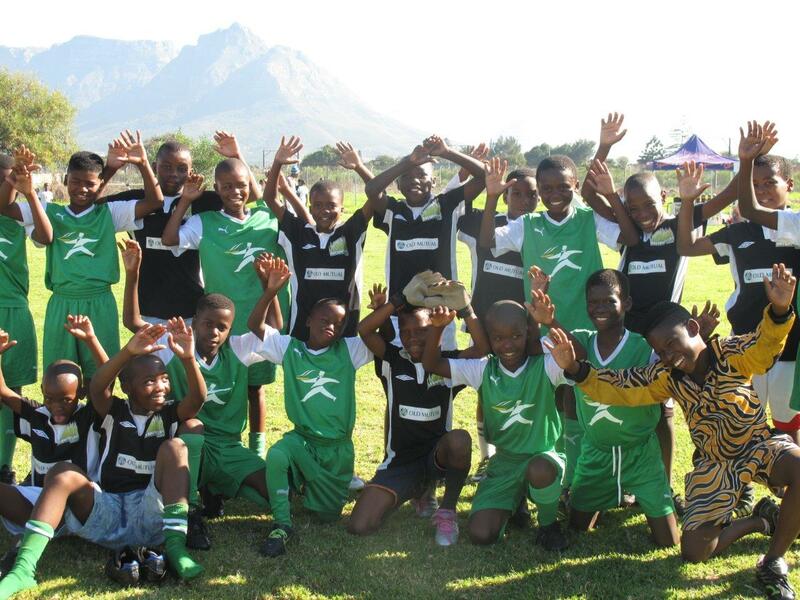 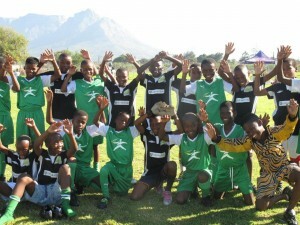 Mokone Primary School from Langa hosted Ntwasahlobo Primary School from Khayelitsha for the long awaited match day. 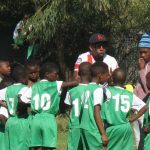 Our Foundation school coaching co-ordinators Nyaniso Mhayi and Bulelani Menze, together with the various international sport volunteers from partners African Impact have been hard at work over the past weeks to ensure the teams were match ready and well prepared. 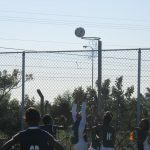 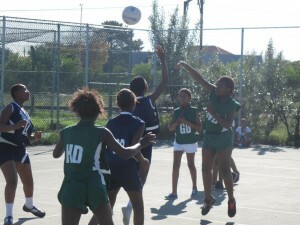 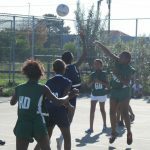 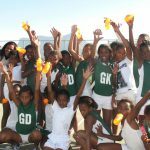 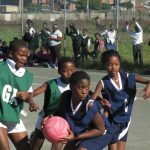 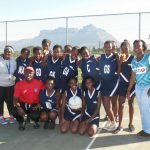 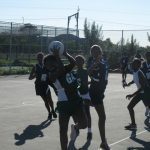 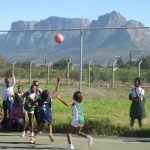 Each school was represented by their u11 and u13 netball teams, as well as the u11 and u13 soccer teams. 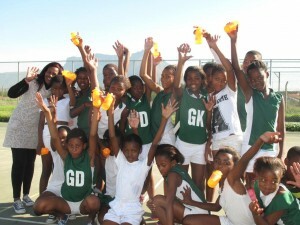 The teams donned their school kit proudly and arrived promptly, eagerly anticipating the battle on court and field. 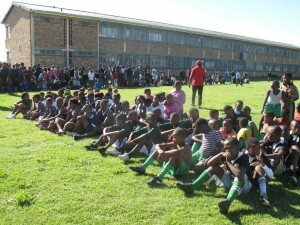 Mokone Primary School were fantastic hosts and everyone was warmly welcomed by the Principal Raphahlelo. 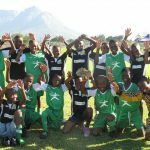 The atmosphere and talent on display was excellent and the support for both teams and the initiative was a tremendous testament to the objectives of our Foundation school programme. 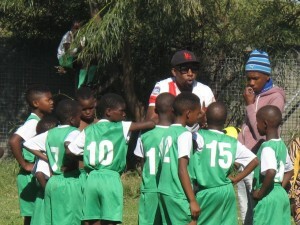 Overall the “Derby Day” was very well received by both the players, teachers and coaches providing the teams with a much desired competitive environment, while fostering the all important life skill of sportsmanship – learning respect for both teammates and opponents on and off the playing field. 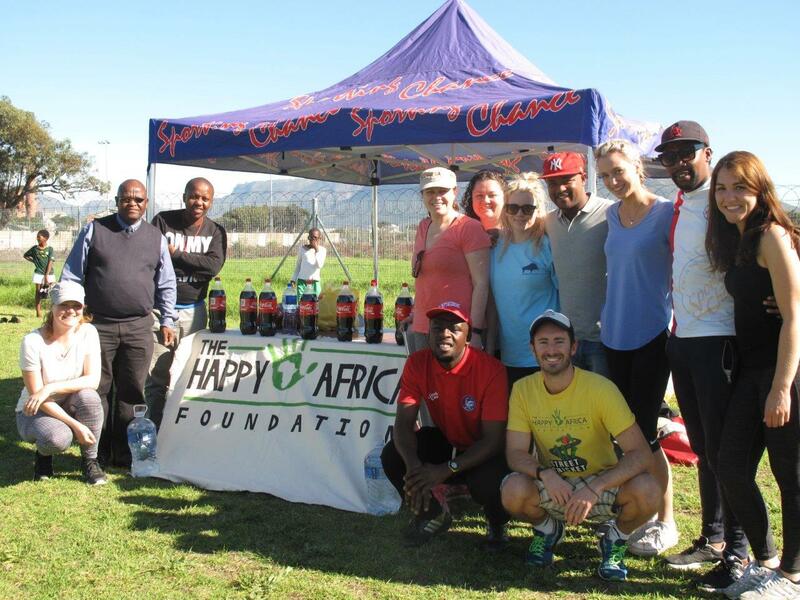 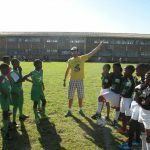 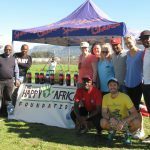 Thank You to the team at African Impact and the Happy Africa Foundation and their various international volunteers who continue to share and assist us with our vision to provide opportunities for sporting achievement and personal development for as many children as possible. 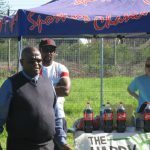 Special thanks to Peninsula Beverages for supplying much needed refreshments, which added great value to the day and to the Nussbaum Foundation, who make our Foundation school programme possible for these two schools.